The network of local bus routes in and around Lagos operates under the brand-name 'ONDA' and is financed by the Lagos town council. The bus stop at Lagos Railway station is directly outside the building by the taxi rank. On leaving the train, turn right at the end of the platform and go through the exit. Route 2 (Azul) is the only bus that stops at the station. The main bus station is a 5 minute walk, using the footbridge across the river- see the map below. 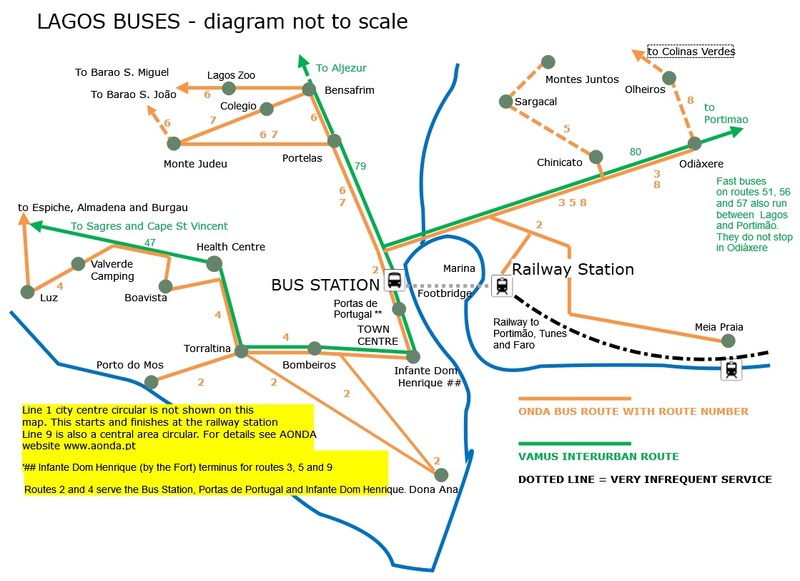 The official website is at http://aonda.pt/ and has full timetables and maps for all routes. Some parts available now in English. See timetable help below. There is some useful information at http://lagosnavigators.net primarily a site for visiting yachtsmen! Thanks to Barlavento Expert for translation and additional information. Onda operates mini-buses and medium sized vehicles. The official and more detailed map can be viewed and downloaded here. This page summarises the information on services. Above is a basic diagram of routes - click to view full-size. Complete system map on official site here. For my city map of Lagos, click here. Will open in a new window. A ONDA system map here, shows all routes and stops. Will open a new tab or window. Many A ONDA buses do not go into the main bus station. They stop on the main road (Esplanada) outside. Route 2 (below) also runs between the station and town centre. Lagos city internal circuit - STARTS AND FINISHES AT THE RAILWAY STATION, runs to the bus terminal and then a circuit around city centre before heading back to the railway station. First bus 0740, then every 30 minutes until 1010, then every hour until 1610, then every 30 minutes until last bus at 1840. Extra bus at 1340. Seven journeys only, departing the station at 0810, 0910, 1110, 1210, 1310, 1610 and 1840. Sunday service only in July and August, same times as for Saturdays. Meia Praia - Lagos Railway Station - Avenida. dos Descobrimentos (outside the Bus Station) - Portas de Portugal (entrance to Lagos town 'centre' - Torraltina - Praia Dona Ana - Porto do Mós. 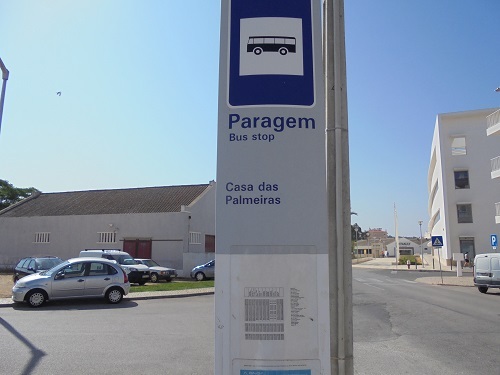 First bus from Meia Praia is at 0710 then once every hour until 1810, then at 1910 to bus station only. From Porto do Mós 0740 and every hour until 1840. Last bus to Meia Praia from Portas de Portugal is at 1856, to Porto do Mós at 1822. From Meia Praia to Porto do Mós at 0710, 0810 and 0910 then at 1310, 1710 and 1810. Also at 1010, 1410 and 1910 as far as the bus station. From Porto do Mós to Meia Praia via Portsa de Portugal at 0740, 0840 and 0940 then at 1340, 1640, 1740 and 1840. Every 30 minutes at weekday peak times, every 60 minutes otherwise until 1930. Later buses from Lagos 2000 and 2230 in July and August. Four buses in the morning, two in the afternoon. Last bus from Lagos 1730. Later buses at 2000 and 2230 in July and August. Four buses each way at irregular intervals until 1730. Later buses from Lagos at 2000 and 2230 in July and August. 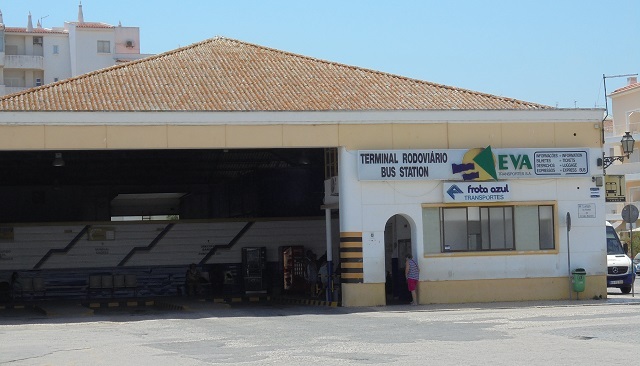 Bus Station - Praça Infante Dom Henrique - Valverde - Luz - Espiche - Almadena - Burgau - Almadena - Luz. Buses run at very irregular intervals, there is a gap of 90 minutes during the afternoon with no buses. Last bus from Lagos to Luz is at 2005 (winter); in summer later buses at 2045, 2149 and 2304. Five buses each way between Lagos and Luz, four of these go to/from Burgau. There are periods of 3 and 4 hours between buses in the middle of the day. Last bus in winter departs Lagos at 1840. Two later buses in July and August, from Lagos to Luz at 2130 and 2234, returning to Lagos at 2200 and 2315. Praça Infante D. Henrique - Esplanada (Bus Station) - Chinicato - Sargaçal - Montes Juntos. Five buses each way. Additional buses run on Schooldays. Praça Infante D. Henrique, Esplanada (Bus Station), Complexo Desportivo, Portelas, Bensafrim, Barão de S. João. Weekdays: six inbound and five outbound buses. Weekdays - six inbound and five outbound buses. A complex internal circuit of Lagos Town! See the timetable for stops. Every 30 - 60 minutes most of the time, but there is one interval of two hours in the afternoon when no buses run. One bus every two hours but only in July and August. A number of extra journeys operate on schooldays to and from the various educational establishments. A ONDA tickets CANNOT be used on EVA and Frota Azul buses, nor vice-versa. Cash fare for single journeys depends on distance travelled; it's either €1,20 or €1,60. These single journey tickets are 80 cents (any journey) if pre-paid cards are purchased. The card itself costs €3 plus minimum 10 journeys ie €11 the first time These tickets are valid for 1 hour, including for any change between buses to complete your journey. For visitors there are these useful passes - 1 day €3,60; 3 days €9,00; 5 days €15,00 and 7 days €21,60. The one day pass can be purchased on the bus, the other must be purchased from the bus station or other sales points as below. A monthly pass is €28,00, a seniors monthly pass €16,80. Photo and proof of age is required for the senior pass. These pass cards cost €5. Details are on the AONDA website here. Pre-pay cards and passes can be bought at Lagos bus station and the council offices in Luz, Bensafrim, Barão de São João and Odíaxere. Horário Díário = WEEKDAYS ie Mondays to Fridays except holidays. You may also see "Só em dias escolares" = schooldays only times are in red boxes or "Nos meses de Julho e Agosto" = runs only in July and August times are in green boxes. EVA and Frota Azul interurban services - most buses leave from the Bus Station and stop along the 'Esplanada' on their way out of town. EVA fast buses to Portimão, Lagoa, Armação de Pêra, Albufeira and Faro here - these stop ONLY at the bus station. Train times here - trains run very irregularly to and from Portimão, Silves and Faro, with connections at Tunes to and from Lisbon and Porto. All coaches (long distance buses) to / from Lisbon and beyond, also those to Seville and other Spanish destinations, use the Lagos bus station. For my city map of Lagos, click here. Will open in a new window.